Dr. Butura is very talented and painless. He is a superior oral surgeon and I would send everyone I know to him. I have had no further issues with my tooth extraction. It has healed nicely. Dr. Butura and staff are amazing at what they do! Everything from the pre-procedure exam to the actual procedure was flawless! Everyone made my experience of getting a wisdom tooth removal surgery extremely smooth. I would definitely recommend this office to anyone! Thank you everyone! I had put off getting my wisdom teeth as I did not want to be off from work and school for an extended time. 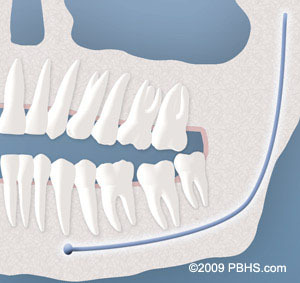 I finally decided to get the procedure done on a Monday, the next day my mouth was sore but virtually no pain. Wednesday I was back at work and by Thursday it was like nothing ever happened. Dr. Butura did an awesome job and his staff went beyond expectations. 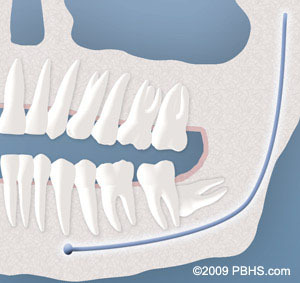 Dr. Butura was very professional and explained what he was was going to do as far as my dental extraction. The staff was very helpful and understanding. I would go back to him in the future if I needed any further oral surgery procedures and recommend him highly to other patients. everyone was nice and made sure i was secure and comfortable! I am very fearful of dental work, so much so that I need to be sedated with nitrous oxide for a simple cleaning. Dr. Butura and his staff were very understanding and made my wisdom teeth removal comfortable and not scary at all. The ease of my recovery is a testament Dr. Butura's skill, no pain or swelling! I'd recommend him without reservation. I was referred to Dr Butura by my dentist and am so grateful for his professional and friendly service! The whole staff was wonderful too, I felt comfortable and at ease, and had confidence in every person around me. The office and building are beautiful too, and are calming, and the parking lot is freshly repaved and spacious. When Dr Butura administered a sedative for my procedure with a syringe I didn't even feel it. My wisdom teeth were extracted so cleanly, and I'm healing rapidly. I kinda hope I have a reason to come back, lol. Thank You to the entire staff! Butura and his staff were welcoming, kind, and my appointment was overall a great experience. As I am a college student from out of state, I did not know what office in town I should go to, but I am so glad I was referred to go to Oral Surgery Phoenix and will refer it to my friends! My daughter was very apprehensive to have her wisdom teeth removed. Dr. Butura had such a warm and caring manner that my daughter was quickly as ease. When we went back for the extractions, we were leaving within a half hour! He and his staff were so efficient!! Would absolutely refer others here. I would highly recommend Dr. Butura to anyone who is needing oral surgery. Dr. Butura and his staff are very friendly and provide excellent service. I had two of my wisdom teeth removed by Dr. Butura. The whole process form beginning to end was easy, seamless and well organized. I had bad memories of being a teenager and having two of my impacted wisdom teeth removed. I remembered a lot of pain and a lot of post surgery bleeding from that experience so I had some trepidation going to have my other two wisdom teeth removed. Dr. Butura and his staff answered all my questions and eased my fears about the procedure. As I was under sedation, there was no pain during the procedure which was very quick. The recovery over the next week was also very fast and much better than my previous experience as a teenager. I would highly recommend Butura Oral & Dental Implant Surgery. Overall it was a great experience and I really love everyone who worked with me!